Warner Bros.’ “The Meg” earned $US44.5 million to win the weekend box office. That doubles the industry projection for the movie. It’s now the highest-grossing live-action shark movie ever (not counting inflation), and the biggest opening this summer for a non-sequel movie. Just how good has this year’s summer box office been to Hollywood? Even a shark movie that has more of a “Sharknado” feel than “Jaws” is making a killing at the multiplex. 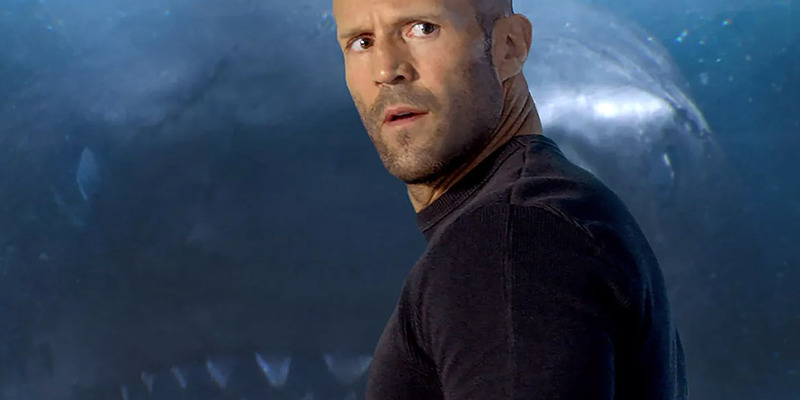 Warner Bros.’ “The Meg,” starring Jason Statham versus a prehistoric shark, took in an incredible $US44.5 million at the domestic box office, doubling industry expectations. It’s now the highest-grossing live-action shark movie ever (not counting inflation). That’s quite a finish for a movie Hollywood has been trying to make since the 1990s when Steve Alten’s book, “Meg: A Novel of Deep Terror,” came out. Though its star, Statham, didn’t hold back while promoting the movie that its wacky tone wasn’t what he signed on for, expecting a more gory R-rated action movie, he might be singing a different tune this morning. 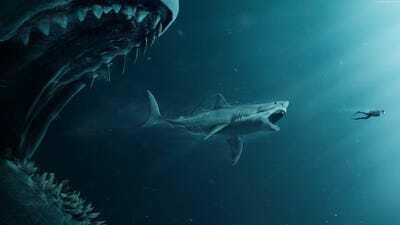 “The Meg” director, Jon Turteltaub (“National Treasure” franchise), looks to have captured the right tone of big shark fear and silly action to get audiences to come to the movie its opening weekend (despite its 49% Rotten Tomatoes score). And it didn’t just do well in the US – internationally the movie took in around $US90 million over the weekend. Warner Bros. and its co-financier, China’s Gravity Pictures, were probably in cold sweats when industry projections had the movie opening around just $US20 million in North America. The movie’s budget before marketing has been reported to be anywhere between $US130 million to north of $US170 million. But the $US4 million Thursday preview take domestically likely calmed a lot of nerves. The movie then took in a strong $US16.5 million on Friday, which confirmed that WB had a hit. And it took in another $US16.3 million on Saturday. box office clusterstock media moneygame movies the meg thelife thewire-us warner bros.